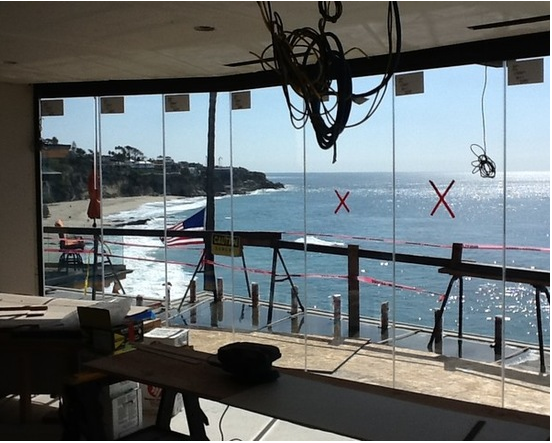 How Do We Install Your Frameless Sliding Glass Doors? Curious to see how our framless sliding glass doors are installed? Explore the seamless process for yourself. When you purchase a sliding glass door system from Cover Glass USA, installation is handled directly by our designated and highly specialized in-house installation team. This is an essential service due to the necessary steps and precautions involved in installing our systems in order to optimize the efficacy, preserve the lifespan, ensure full functionality of your frameless sliding glass doors. 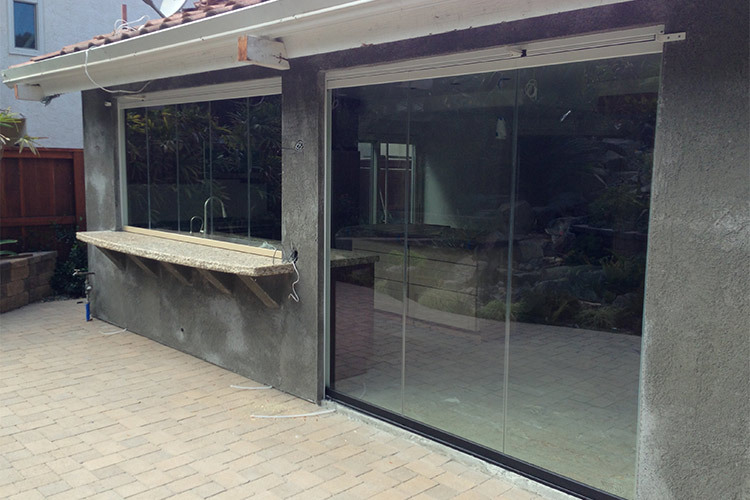 Before we can install your sliding glass doors, you require the inheritance of a clean opening, free from anything that could obstruct the tracks, from you and/or a contractor. The header and side also need to remain exposed. 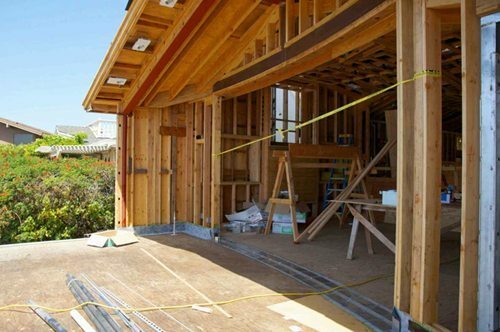 On new or existing constructions, we can work with your contractor and will request that they create the opening according to our system specifications. For systems with recessed bottom tracks, your contractor should be asked to cut into the flooring to make way for the flush mount. We are able to work directly with your contractor in order to facilitate seamless communication and direction regarding the installation and construction around your frameless glass system. The first step involves installing the track. This part of the installation requires approximately one day for every 18 feet of track. To begin, we weatherproof the entirety of the track and opening and drill for weep holes to ensure proper sliding glass door drainage to protect your home. Once this is complete, we can position the tracks. After positioning the track we are able to accurately measure the space for the glass manufacturing and installation process. Complete accuracy is key, as the fit contributes both to aesthetics and proper functionality. For this reason, we use a highly-precise laser measurement technique called the phase-shift method. Once we have the measurements, we are able to send your sliding glass door order to our supplier. Along with the dimensions for the glass, we will specify your preferences for color. Our standard glass is clear, and other colors include light gray, light bronze, blue, green, or reflective bronze (for enhanced privacy). Whatever color you choose, your panels will be made from the latest-generation of Low-E glass, to protect your home and loved ones from possible UV damage. All panels are dual-paned with an industrial lamination between the panes to for added safety and sound barrier purposes. Both panels are made from tempered glass and the extra lamination allows us to classify our glass as safety glass. Read: What is Tempered Glass? We should receive your glass order within 10-12 business days. Once we confirm receipt we return to your property to mount the glass and complete the installation process. Installation takes approximately one working day per 18 feet of track or glass. Our typical lead time is between three to four weeks, although this may vary according to current demand and our pre-existing schedule.